Colette album release tour with Gotsoul Records jojoflores. Friday November 2nd, 2007 - OM RECORDS present COLETTE & JoJoFlores with opening birthday set by b-side. 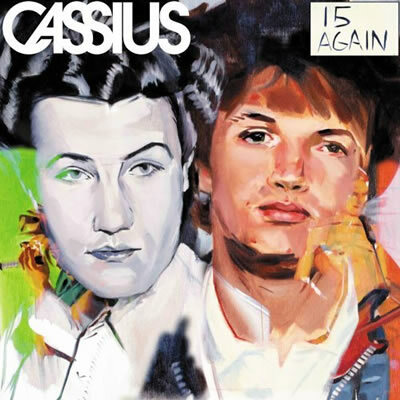 The band that kick-started the French electro-house explosion - Cassius return with their long-awaited third album. Features the international dancefloor smash "Toop Toop", the soulful "Rock Number One" and the Pharrell Williams collaboration "Eye Water." Switch to a Mac has performed the old Macrumors trick of predicting Apple releases based on when the product was last updated, and according to their research, we're supposed to see new MacBooks and MacBook Pros before the holidays. On average, they're seeing just under 200 days between releases for both, and so they expect updates to the line before the end of November. If you want my professional opinion (and I'll assume you did because you came here to read it), that's all bunk. I waited months and months while Macrumors' page said "don't buy - updates soon" on the iPod, hoping against hope that I would be able to get an iPod with a touchscreen, and it was just days after I finally broke down and bought a Video iPod that Apple announced the iPhone. I have no doubts that there will be a portable update soon over at Apple (in fact, I know that someone over at our sister site Engadget is waiting until January to buy an iPhone just in case there's a new revision announced soon), but I would say that before the end of November is a little too soon. Still, if you're planning to buy a new MacBook or Pro and can stand to wait a few weeks, you just might want to. As usual, we guarantee nothing, and personally I doubt it'll happen, but if Switch's reasoning seems sound to you, give it a week or two and just maybe you won't be left out in the cold if Apple launches new MacBooks in early winter. Google are starting to roll out their new and improved new look GMail 2.0 to a few selected users. you may be one of those selected users. Special thanks to our friends at the Google Rumor Mill. 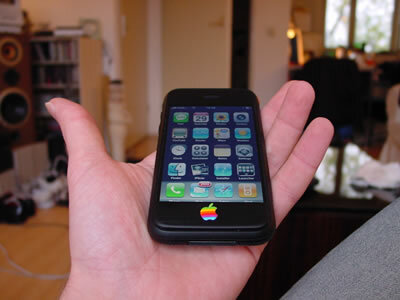 Mod your iPhone. Special thanks to our friends at Geek Technique! click here for full step-by-step tutorial. Those bad boys from Brazil are back with another installment of ALMA (All for the Love of Music & Art) and what better reason to celebrate than the birthday of one of their founders and resident DJs. Miller Cruz will be celebrating his birthday with a live performance from some of the party’s favorite musicians and loads of surprises. Expect the groove to be even deeper than usual when these stellar musicians and DJs come together. DJs True and Miller Cruz continue to expound on their Neo-Brasilian Fusion sound, keeping this very international crowd buzzing with Brazilian energy. Their ever-so-lovely hosts Joann Jimenez and Manchildblack continue to treat all of their guests with that trademark hospitality that makes everyone feel right at home. It’s one of many reasons Joann was chosen as one of the Unsung Heroes of NYC’s Nightlife by Time Out NY magazine and ALMA continues to be the most successful party at The Sullivan Room. This almost assures us of another traditional ALMA, out-of-this world kind of night that will keep the groovesters jumpin' to the wee hours of the morning. You don’t have to be Brazilian to party like one, and at this celebration . . . it’s hard not to. Until now, the closest you could get to your dream of travelling into space was to immerse yourself in a good science fiction novel. Not anymore. Now you can experience the thrill of being a space traveller and soaring into the unknown in one of the world’s finest commercial passenger space planes. Space may be alien to you, but it isn’t to us. As you get ready to leave your world behind, their team of space pilots will prepare you for the flight of your life with detailed briefings and simulated training flights. Your journey into space begins with a 45-minute cruise to an altitude of 12 km. At 12 km the rocket propulsion system takes over from the jet engines to truly ignite your imagination … the space plane is boosted to almost vertical attitude with the breath-taking velocity of Mach 3 – three times the speed of sound. After 80 seconds and at an altitude of 60 km, your mind is literally sent into orbit. The rocket propulsion system is then shut down and the space plane’s inertia allows it to ascend to over 100 km. At this altitude, you will become one of the very few people to experience the feeling of zero gravity in space. As the pilot manoeuvres the craft using small rocket thrusters, you body will hover weightlessly for several minutes. You will witness some of the most spectacular views of the Earth ever seen. As the jet engines take over again at 12 km, you will enjoy a 30-minute descent to Earth and land back at the spaceport. You may have landed, but after an adventure like this, it will be a little longer before you’re truly back down to Earth. Astrium’s Marc Newson-designed space plane will be the most advanced vehicle of its type in the world. Named by Time magazine as one of the 100 most influential people in the world, Australian-born designer Marc Newson’s aesthetic vision and uncompromising originality have won him the highest international acclaim. We recently checked out the launch of Sydney-based men's fashion label Jon Pumper, a fresh athletic range drawing inspiration from a fictitious character with "legendary status as a ladies man" who has been 'linked with nearly every high profile woman." Rather fittingly, the launch took place at Sydney's Deus Ex Machina, a motorbike shrine packed full of fast metal and retro moto-style threads, providing the perfect backdrop for fashion based on such strong male charisma. This new and interesting suite is composed by thirty works. In them we keep on appreciating the same virtues that so much his followers like, nevertheless, we can affirm that in them also we find a light evolution as fruit of his continuous investigation in the field of the textures and chromatic contrasts. As it is already usual, he keeps on resorting to the use of different planes, as windows, where the action develops inside the same canvas, going so far as to focus, this way, our attention on different points simultaneously, showing parts of the work that could be observed as abstract; fact that awards to his painting a very dynamic vision. He continues also relying on the use of chromatic contrasts to emphasize these foci of guided attention. hotel del arte promotes their artists with a Gallery Portfolio at absolutearts.com. In his creations, and in a more and more marked way, also there is observed the forceful use of diverse textures that help provide to the set of this sensation of dynamism earlier quoted. Nevertheless, also he incorporates as innovative element a much more clear peculiar game of symbolisms now than in his previous production. In this new series ì Secrets ì he assembles all these pictorial resources, which Ricardo Moraga can handle with mastery to present to us a work much balanced in itself, with loads of sensibility. Much supported on his way of extending the painting on the canvas, without almost leaving trace with the brush and always appealing to his vision of reality as a subtle and ethereal hyper-realism that shows with detail parts of the work and in a diffuse and texturized way the rest of the work.